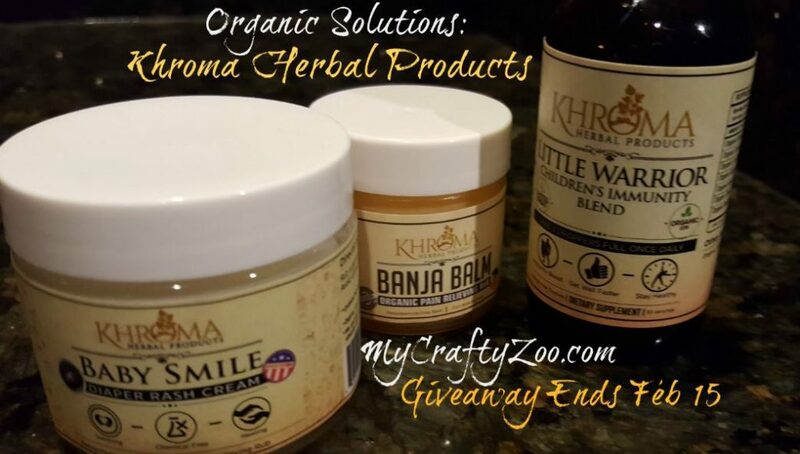 Khroma Herbal Products have completely vegan, organic, not packaged in plastic, and contain no artificial ingredients. We are excited to share with you! Their slogan being: “From Nature, with Love” is absolutely awesome to me! Being a nature loving person, it totally vibes with me! Their homepage is also beautiful, in my humble opinion!. They have a pretty great product line, including the ones listed below, they also have lip gloss, an energy blend, a happy blend (to uplift moods), Hair Skin & Nail blend, inflammation, digestive and circulation blends, just to name a few! Khroma was founded by Connor & Renee Southworth in an effort to truly incorporate quality and ethics with great products. They have added to their team and are keeping a people first drive with their business. All of their products are ethically sourced, so I feel it is safe to say that they are taking their ethics and beliefs beyond just the human race, but to the whole ecosystem as well. Being a very big animal and environmental lover, this company lines up with a way of thinking that I can completely line up with! 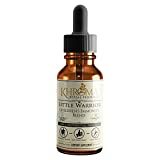 Little Warrior Organic Children’s Immunity Blend: This is a blend of herbs formulated for children with no alcohol. It’s made to taste good so that the kids will like it. We tried it out on 3 children, ages 10, 4 and 2 1/2. The older children are in school and exposed to all kinds of germs, which they love bringing home to the heart baby. Regardless, they did seem to like it. With the flu being so crazy right now, it didn’t prevent the virus but it did help them get better a lot faster than they have in the past. Banja Balm Organic Pain Relieving Rub: A vegan, organic muscle rub. It’s very strong and works well on sore muscles. A friend borrowed it and I had to fight to get it back. haha. Overall, it works wonderfully to ease the pain of sore muscles. The friend that used it had muscles sore from work (lifting, bending, pulling) and absolutely loved it. I used it on a very tight and angry neck and had good results as well. Baby Smile Organic Rash Cream: Our children are exposed to so many additives and chemicals, I love that this one is free of all of those things! With various natural items such as chamomile, coconut oil, lavendar, this rash cream brings just what baby needs: healing! The only thing I don’t like is that it has coconut oil, which isn’t good for cloth diapers. So if you are a crunchy mama, be sure and use liners!